One of the more unusual themes this year will be our "l is for laundry" unit. To help introduce the week, I've made these laundry themed wall decorations. 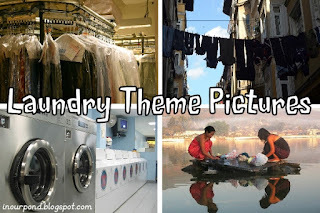 The pictures show different types of laundry situations around the world from washing clothes in a river to industrial laundry companies. To download the pictures, click here.